Did I mention our nationally recognized wine cellar, fully stocked bar, and collection of both national-name and craft-brewed beers in bottle and on tap? The English Inn New Year’s Eve Special is not just food and drink, either. Along with your sumptuous meal, you’ll also enjoy soaking up the historic environment of our classic, Tudor-style mansion and the lush, 15 acre grounds overlooking the Grand River that it sits upon: Medovue Estate. The interior of the 10,000 square foot, two-story, Tudor Revival mansion that is the English Inn Restaurant & Pub boasts fine, handcrafted wood, marble, slate, and Honduran mahogany detailing. The long oak bar of the pub, massive fireplaces scattered throughout, and acres of gardens and walking trails along the Grand River will spice your New Year’s Eve as much as the food and drink you’ll enjoy. The English Inn Restaurant & Pub in Eaton Rapids, MI is a offers fine dining as well as peerless accommodations in our eighteen, elegant guest rooms. The English Inn Restaurant & Pub is the proud recipient of the Wine Spectator Award of Excellence, the Open Table Diner’s Choice, and is recognized as a Distinguished Restaurant of North America (DiRoNA). Just a half hour’s drive from Lansing, Michigan, the English Inn Restaurant & Pub provides a conveniently located respite from the hustle and bustle of the modern world without taking you too far from it – and while still providing the best of modern amenities in a classic, old world environment. Whether you’re just stopping by to take advantage of English Inn New Year’s Eve Special or are here spending a day or two in our Eaton Rapids Inn, the English Inn Restaurant & Pub is the perfect setting for any occasion: weddings, anniversaries, birthdays, reunions, conferences, and corporate events. 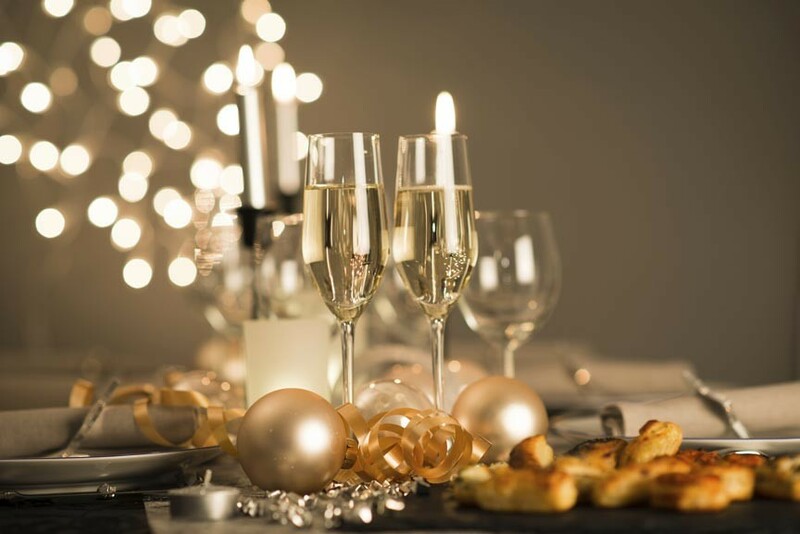 Toast the arrival of 2016 with a delicate glass of sparkling champagne and a dinner to remember with the English Inn New Year’s Eve Special! Book your reservations now!